We monitor the flight and traffic conditions and notify you when it's time to leave for the airport. 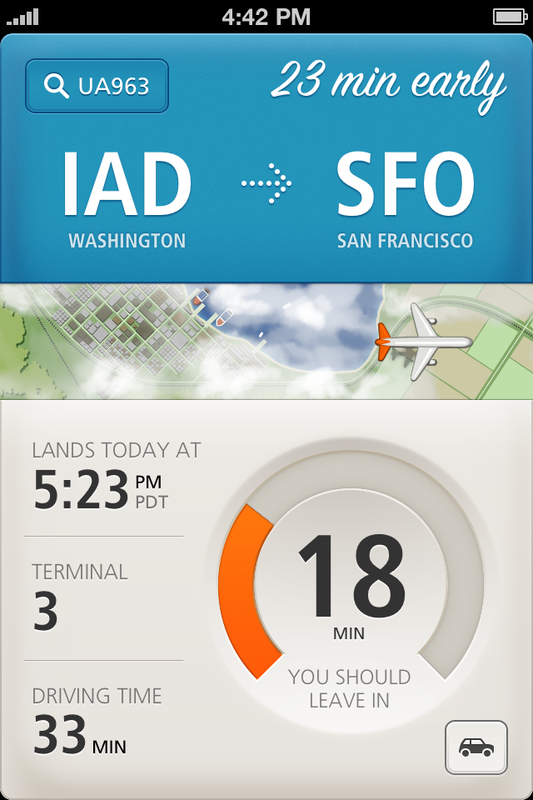 Get the estimated flight arrival time, terminal, gate, and even baggage claim information. © 2013 Just Landed. Little Details LLC. All Rights Reserved.